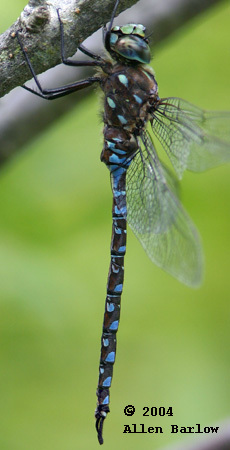 Known only from Sussex County, it should be looked for in darner swarms throughout the Ridge & Valley and Highland areas. Generally breeds in slow boggy ponds and streams. A large dark darner with a dark face line. 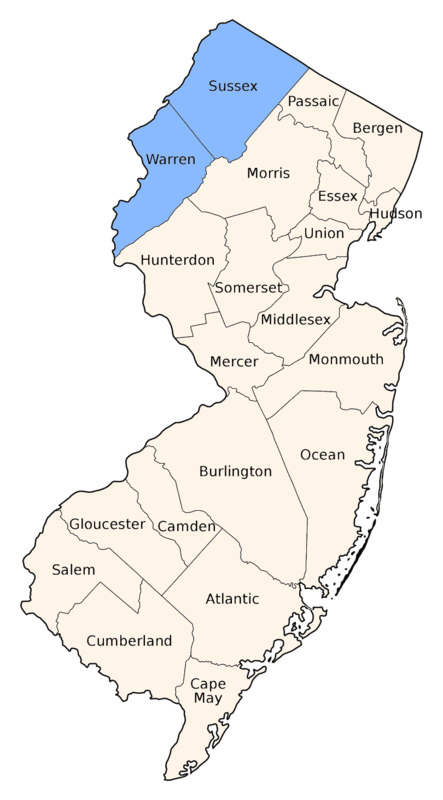 The lateral thoracic stripes are broken into 4 spots in the form found in New Jersey. This pattern is unique among NJ's darners.